Dig out your running shoes and start warming up – the 2018 Bournemouth Bay Run takes place Sunday 8th April and organisers are delighted to announce that locally based insurance company Health-on-Line are the new, proud, event title sponsors. Supported by the British Heart Foundation, the Health-on-Line Bournemouth Bay Run is set to welcome more than 4500 runners to the resort to participate in the popular half marathon, 10k, 5k or 1k family fun run. 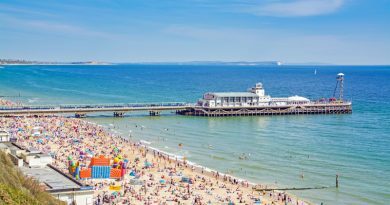 November 1, 2018 LGO Office Comments Off on It’s ‘Nutty November’ on Bournemouth Pier – HALF PRICE Offers on the Zip Wire, climbing at RockReef and Kids Eat Free at Key West Bar & Grill!